They are found mostly in the southwest U.S. and in southern Africa. Camel spiders are usually found in desert areas. There are many myths surrounding camel spiders — most of which are blatantly untrue. I think my favorite is the one about how camel spiders can run after you at 30 mph while screaming! My second favorite is the one that says a camel spider’s venom is an anesthetic. The story also goes that camel spiders inject humans with it and chew big bites out of them, but the human don’t know they’ve been bitten until they wake up. Okay, granted they are ugly little buggers. I’ll be the first to admit that. However, most of the stories attributed to camel spiders are not true. Most are merely urban myths. 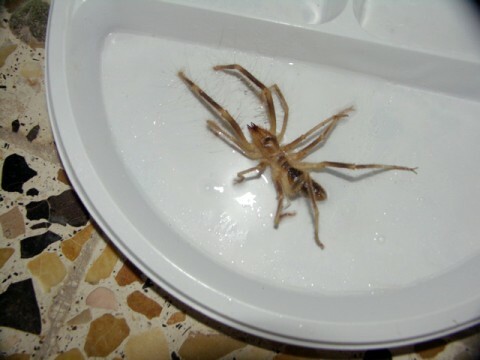 There are several stories, pictures and videos online pertaining to the camel spider — many of them are out of Iraq. So, if those are the myths, what are the facts about camel spiders? #1 – Camel spiders can grow up to 6 inches in length. 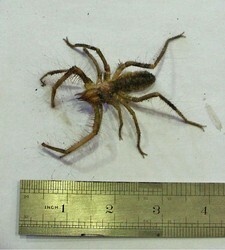 This photo shows the typical camel spider size, next to a ruler. #2 – The camel spider got its name because it lives in the desert like the camels. Its name also stems from the urban myth that camel spiders attack camels by jumping on them and eating out their stomachs to lay their eggs in. #3 – The camel spider isn’t a spider at all, but rather a solfugid which is still in the Arachnid family — but not technically a spider. #4 – Camel spiders are still fast, but they can only run 10 mph. The reason people think they are being chased by camel spiders is that they are nocturnal and don’t like to be out in the open. To avoid that, they will follow your shadow. As your shadow moves, so does the camel spider. #5 Camel spiders only use 3 pairs of legs for running. They hold out the pair of legs in front to be used like antennae. #6 – The terror associated with camel spiders came in part from the early 90’s — when U.S. soldiers were returning from Desert Storm, they told stories about the camel spiders they had seen there. The same is true of our troops returning from Iraq. #7 – There is no evidence that camel spiders can jump, contrary to many claims. #9 – It is rare for a human to be bitten by a camel spider, but it does sometimes happen. If you are bitten, you should go to the doctor right away to have the bite wound cleaned — because camel spider bites can easily become infected. #10 – While this spider’s bite is generally not harmful to humans (unless it gets infected), the camel spider can kill small animals. In fact, the camel spider eats other insects, small lizards, small mice, and birds. They don’t bite humans unless they feel threatened. 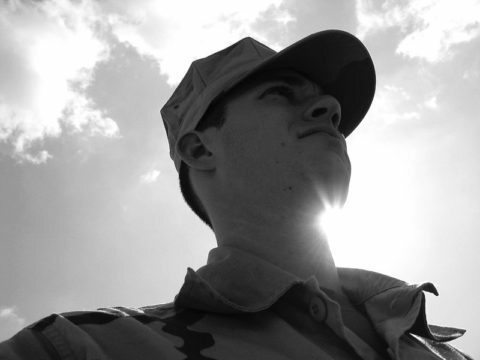 Most of what you read and hear from soldiers in Iraq is false. This doesn’t mean that the soldiers are being untruthful. They’ve probably heard the urban legends and bought into them just as many uninformed people have done. If you keep these simple facts in mind (and remember to see your doctor if you do get bitten — so the bite doesn’t get infected), then you’ll be fine.